Bar Hop in Style, Skip the long bar lines!!! Allstars Nashville Limousine Services were picked for the CMA Awards as the limos to take if you want the All Star treatment! Visitors, Welcome to Nashville! Our drivers know this town better than anyone. Let us plan your night and take you to all the best Clubs and Bars. Listen to Music and Dance the night away in style. There is no better way to see Nashville! Pull up and get dropped off at the door… Most of the time we can get you and your friends straight in without waiting in line!!! The Definitive Nashville Limousine Package: The Bar and Club Tour! Visitors to Nashville and even the Locals love this package!! 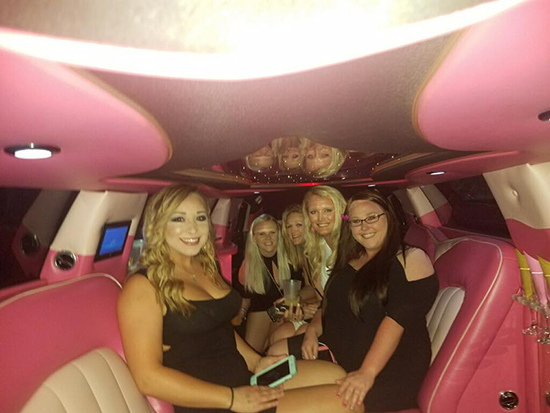 Allstars Nashville Limousine Service will pick you and your friends up at one location, within 20 miles of downtown, and take you to your favorite places or let us pick them for you. Package includes up to 5 bar drops and pick ups, and then at the end of the night we take you and your friends home safely. What's great about the service we provide is that we allow the client to have fun and be responsible simultaneously. There is no need to worry about how a person may get home, getting lost, and above all else, Allstars allow you to ride in style! With our professional and knowledgeable chauffeur; there's no way that you won't have a simply amazing time out in one of the hottest cities in the South! Note: Alcohol is only allowed for 21 years and above in all limousines. We provide bottled water. Ask about custom packages… We are here to make your night unforgettable!